How Far is Chettinadd 9th Avenue? These stately apartments have a unique powder blue and ivory colour scheme that's elegant and attractive as well. Stylish design and luxurious interiors make living here a dream. 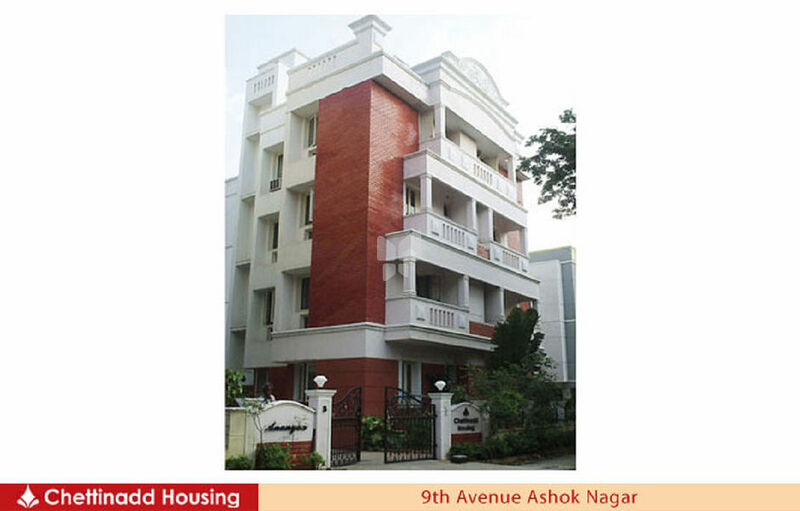 Located in the upbeat area of Ashok Nagar. This quiet tree-lined neighborhood is the ideal place for a home that takes one away from the stress of modern life. This apartment complex has a contemporary style with a rustic touch added by the inset brick facade.